Angiotensin-converting enzyme (ACE) inhibitors should be used to prevent progression to symptomatic HF and reduce mortality in patients with history of myocardial infarction (MI) or reduced ejection fraction (EF). Patients intolerant to ACE inhibitors can receive angiotensin-receptor blockers (ARBs) unless contraindicated. Beta blockers should be used in all patients with a reduced EF to prevent symptomatic HF, with or without a history of MI. Hypertension should be controlled in patients with structural cardiac abnormalities, including LV hypertrophy to prevent progression to symptomatic HF. Prevention of heart failure symptoms: dyspnea, fatigue, nocturia, exercise intolerance, pulmonary effusion, peripheral edema, ascites, chest pain, syncope (Mayo clinic staff, 2016). Coronary Artery Disease (CAD) is the most common type of heart disease in the United States. CAD is caused by atherosclerotic plaque in the walls of the coronary arteries. This plaque buildup can lead to stenosis, ischemia, angina and a sympathetic response that increases cardiac work load. Over time, CAD can weaken the heart muscle leading to heart failure, arrhythmia and death. The plaque can rupture and lead to clot formation (thrombosis) severely blocking blood flow in the coronary arteries. Myocardial ischemia occurs rapidly. "Brief periods of ischemia (<20 minutes) are reversible if followed by reperfusion. They are not associated with development of necrosis but result in the phenomenon of stunning. If duration of coronary occlusion is prolonged beyond this point, a wavefront of necrosis propagates from subendocardium to subepicardium. Reperfusion beyond a few hours does not reduce myocardial infarct size (Michiels 2004)." If the blockage isn't treated quickly, within 20 minutes or less, the hypoxic tissue dies. Necrosis becomes visibly apparent within about 2-4 hours. Scar formation replaces the necrotic myocardial infarct (MI) tissue. It may take 5-6 weeks to fully form the scar. The resulting heart damage may not be obvious, or it may cause severe or long-lasting problems. 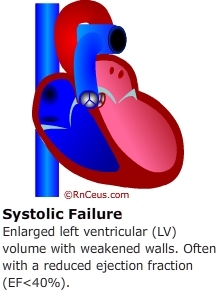 "In most patients with heart failure due to left ventricular systolic dysfunction, the underlying cause is coronary heart disease. To reduce progression to heart failure in a patient with acute myocardial infarction, it is important to achieve the earliest possible reperfusion, whether by thrombolysis or primary percutaneous coronary intervention (Dargie, 2005)"
Ventricular remodeling refers to the changes in size, shape, structure, and function of the heart. Physiologic ventricular remodeling is a benign result of adaptive gene transcription by cardiomyocytes in response to increased cardiac workload associated with endurance training and also pregnancy. Endurance training increases oxygen consumption, cardiac output, stroke volume, and systolic blood pressure, as well as decreasing peripheral vascular resistance. Pathological remodeling is progressive and minimally reversible. It is the product of chronic stress, hemodynamic overload and injury induced maladaptive gene transcription associated with ventricular fibrosis, cardiomyocyte hypertrophy, abnormal sarcomere architecture, arrhythmia and heart failure (Wang, 2003; Dhalla, 2003). Myocardial infarct (MI) is usually the result of myocardial ischemia and hypoxia due to thrombosis associated with coronary artery disease. Hypoxic cardiomyocytes must switch to anaerobic metabolism which initiates a cascade of: acidosis, inflammation, mitochondrial damage, reduction of ATP production, disrupted ion transport, loss of membrane integrity and cardiomyocyte death. The longer the duration of coronary occlusion the larger the infarct size (McAlindon, 2013). Cardiac ventricles react to chronic volume overload and pressure-overload in two different ways. Chronic volume overload denotes a pathologic preload pressure that keeps the cardiomyocyte in the stretched position. It is proposed that cardiomyocytes adapt to chronic volume overload through eccentric hypertrophy by producing and delivering the protein components of sarcomeres to the end of the myofibrils where they are assembled as additional sarcomeres, in series, allowing elongation of the cardiomyocyte. The sarcomere is the primary motile unit in striated myocytes and cardiomyocytes. The normal cardiomyocyte has length to width ratio of ≈ 7:1. Eccentric hypertrophy can result in a length to width ratio of ≈ 11:1. Elongation of ventricular cardiomyocytes by eccentric hypertrophy is characterized by ventricular dilation with high end-diastolic volume (EDV) and reduced ejection fraction (EF). In response to chronic pressure-overload, ventricular cardiomyocytes may undergo maladaptive hypertrophy known as concentric cardiomyopathy; cardiomyocyte thickening by production of additional sarcomeres in parallel. Thickening of ventricular cardiomyocytes by concentric hypertrophy is characterized by ventricular wall thickening with lower end-diastolic volume (EDV) and preserved to mildly reduced ejection fraction. 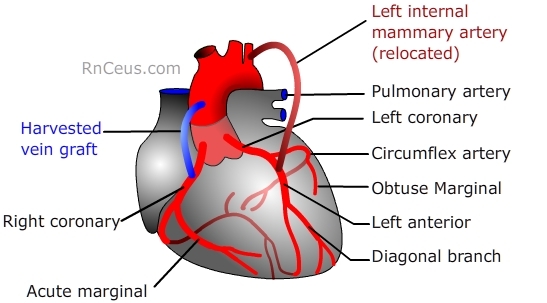 The heart has four valves: the tricuspid, pulmonary, mitral, and aortic. The tissue flaps of these valves make sure the blood flows in the correct direction through the heart chambers. Infections, birth defects, age-related changes, or other conditions can cause incomplete closure of one or more of the heart valves. An incompetent valve can allow blood to backflow into a heart chamber instead of being ejected forward. This is commonly referred to as regurgitation of which ever valve is involved. For example, if the Mitral valve leaflets fail to close, blood flowing back into the left atrium during systole would be referred to Mitral valve regurgitation or sometimes mitral insufficiency or mitral incompetence. Valve damage can also lead to the heart valve not opening fully (stenosis) requiring more for heart muscles to produce sufficient cardiac output. If the heart valve is closed completely, with no open passage for blood flow, that is referred to as atresia. In response to pathophysiological stimuli, such as ischemia/reperfusion injury or excessive mechanical load, multiple molecular and cellular changes contribute to ventricular remodeling. These changes may include cardiomyocyte loss through cell death pathways i.e. necrosis, apoptosis, and possible excessive autophagy. Accumulation of excess extracellular matrix leading to fibrosis. Metabolic derangements, insulin resistance, and lipotoxicity can occur. Finally, structural changes and alterations in ion transporting processes may culminate in malignant arrhythmia. Structural heart disease without symptoms of heart failure can include coronary artery disease (CAD) or myocardial infarction (MI), ventricular remodeling and cardiac valve disease. Besides hypertension LVH can be caused by aortic valve stenosis, hypertrophic cardiomyopathy and athletic training. An electrocardiogram, an echocardiogram and/or an MRI maybe ordered to confirm a diagnosis of LVH. Current evidence supports the use of ACE inhibitors and (to a lower level of evidence) beta-blocker therapy to impede maladaptive LV remodeling in patients with stage B HF (Reed, 2015). It is recommended that patients with structural heart disease be treated with ACE inhibitors or angiotensin II receptor blocker (ARB) and Beta blockers. ACE inhibitors (ACE-Is) were initially designed to relax constricted blood vessels for patients with hypertension. ACE-Is have since been shown to reduce morbidity and mortality in patients at high risk for heart attacks and heart failure. In a research article by Ricci, Castelnuovo, Savarese and Perrone & Filardi (2016), both ACE-Is and ARBs were equal in their ability to prevent CV death, heart attacks, strokes, and new onset of HF. Beta blockers, as stated in the previous section, are a classification of drugs that work by blocking the neurotransmitters norepinephrine and epinephrine from binding to receptors. Blocking these transmitters slows down heart rate and reduces the work load on the heart. They are often used to treat hypertension, arrhythmias and heart failure (Burchfield, 2013). Before 2000, there were a number of studies that showed patients treated conservatively with medication for the same cardiac issues compared with surgical interventions had similar outcomes with slightly slower mortality rates in the medically treated group (Hueb, 1995; Thompson, Jabbour & Goldberg et al., 2000). Since then more studies have been carried out better defining the uses of both medical and surgical interventions. For more information go to http://www.uptodate.com/contents/coronary-artery-bypass-graft-surgery-beyond-the-basics. According to a study carried out by Boden et al. (2007) of 2,287 patients with stable coronary artery disease there were no significant differences in incidences of death, myocardial infarctions and stroke within 7 years between the patients who had a percutaneous coronary intervention (PCI – stent insertion) and those who had medical-therapy alone. Velazquez et al. (2016) studied 1212 patients with ejection fractions of 35% or lower randomly assigned to treatment by medical therapy alone or medical therapy and surgery (CABG). The patients undergoing surgery with medical therapy fared better. A significant outcome event occurred in 58.9 % of the those with surgery compared with 66.1% without surgery. In the CABG group 76.6% of the patient died within a 9-year period compared with 87% of the medical-therapy only group. According to Hawkes, Nowak, Bidstrup & Speare (2006) in a review article of outcomes of coronary artery bypass graft surgery, the authors concluded there is general agreement that CABG improves the prognosis of patients with left main coronary artery stenosis or stenosis of the three main coronary vessels (Cundiff, 2001; Hlatky et al, 2004). However, without severe coronary artery disease the prognosis is good with medical treatment alone (Kirklin et al, 1991; Caines et al, 2004). With current and future improvements in both surgical procedures and medical therapy comparative studies will be ongoing. In the study by Velazquez et al. (2016) medical therapy and surgery (CABG) resulted in the best outcomes for treatment. Coronary artery bypass graft (CABG) is a cardiovascular surgery intended to improve cardiac perfusion by anastomosing a relocated artery or harvested vein distal to a coronary artery occlusion thereby delivering blood to ischemic tissues. There are several types of coronary artery bypass grafting (CABG). 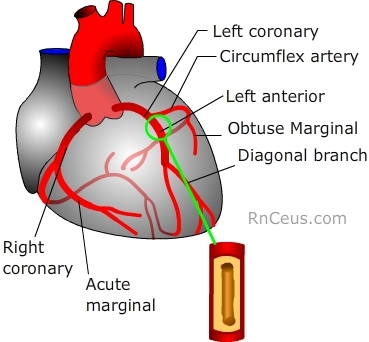 The traditional CABG is used typically when a major coronary artery needs to be bypassed. During this procedure the chest bone is opened and the heart is stopped. A heart-lung bypass machine oxygenates and circulates the blood throughout the body. Surgery is performed on a still heart. Occasionally a mild shock is needed to start the heart after the reconnection. This surgery typically takes 3 to 6 hours. On occasion a bypass grafting procedure is done with the chest bone opened but without the use of the heart-lung bypass machine. Sometimes this is referred to as an off-pump coronary artery bypass grafting or beating heart bypass grafting. Another option is a percutaneous coronary intervention (PCI) also referred to as a coronary angioplasty. This is a nonsurgical procedure that opens a blocked or narrow coronary artery. A stent, a small mesh tube, might be put in place during the procedure to keep the artery open. Both procedures improve the pumping action of the heart muscle. Patients need to be informed about the risks for all these surgeries. The risks, like most surgeries, include wound infection, bleeding, reactions to anesthesia, fever, and pain. However, with heart surgeries stroke, heart attack or even death may occur. Memory issues have also been cited as occurring. Patients who are older, have diabetes and other health issues, like kidney disease, are more likely to have complications. These procedures done on emergency basis, particularly post heart attack, also carry a higher risk. The mortality rate for patients having coronary artery surgery is between 2% to 3.3% annually. This will vary depending upon the frequency of the number of procedures performed by the surgeon and the number of vessels operated upon. Hospitals which have surgeons and staff who carry out these procedures with great frequency generally have lower morbidity and mortality rates. Healthy valves control the flow of blood forward and prevent backward flow. The mitral valves and aortic valves are the ones most commonly operated upon. The mitral valve is most often repaired. The aortic valve to date has not been able to be repaired so it is replaced with a new valve. The tricuspid or pulmonic valves are rarely replaced or repaired. Valve surgery can involve a cut through the breastbone and a connection to a heart-lung bypass machine or pump. Less invasive valve surgery can be done with smaller incisions or the use of a catheter (Percutaneous). With mitral valve surgery the surgeon can repair the ring-like part around the valve or trims or rebuilds one or more of the leaflets. In the case of valve replacement typically done on the aortic valve either a mechanical or biological (made of human or animal tissue) is used. The mechanical valves require the patient to take blood thinners where the biological ones do not. The mechanical valves rarely fail. Valves may last up to 20 years. Usually the results are good with excellent symptom relief. A 5 to 7-day hospital stay is usually required. Mortality rate for heart valve surgery is about 1.7% according to the Society of thoracic Surgeons. The most common risks include heart attacks. Irregular heartbeat (arrhythmia), kidney failure, post-pericardiotomy syndrome - low fever and chest pain that can last for up to 6 months - stroke or other temporary or permanent brain injury Temporary confusion after surgery due to the heart-lung machine can also occur. Yancy, C. W., Jessup, M., Bozkurt, B., Butler, J. , Casey, D. J. , Drazner, M. H., et al. (2013). 2013 ACCF/AHA Guideline for the Management of Heart Failure. Journal of the American College of Cardiology, 62(16). Boden, W.E., O'Rourke, R.A., Teo, K.K., et al. (2007). Optimal medical therapy with or without PCI for stable coronary disease. N Engl J Med., 356,1503. Reed, B. N., & Sueta, C. A. (2015). Stage B: What is the Evidence for Treatment of Asymptomatic Left Ventricular Dysfunction? . Current Cardiology Reviews, 11(1), 18–22. Caines, A.E., Massad, M.G., Kpodonu, J. et al. (2004). Outcomes of coronary artery bypass grafting versus percutaneous coronary intervention and medical therapy for multivessel disease with and without left ventricular dysfunction. Cardiology, 101,21–8. Cundiff, D.K. (2001). Coronary artery bypass grafting (CABGS): Reassessing efficacy, safety and cost. Med Gen Med., 4 (7). Dhalla, N.S., Hryshko, L., Kardami, E. & Singal, P.K. (2012). Signal Transduction and Cardiac Hypertrophy. Springer Science & Business Media. Fernandes, T., Baraúna, V., Negrão, C., Phillips, M. & Oliveira, E. (2015). Aerobic exercise training promotes physiological cardiac remodeling involving a set of microRNAs. American Journal of Physiology - Heart and Circulatory Physiology. 309(4). Hueb, W.A., Bellotti, G., Oliveira, S.A. et al. (1995). The Medicine, Angioplasty or Surgery Study (MASS): A Prospective Randomized Trial of Medical Therapy, Balloon Angioplasty or Bypass Surgery for Single Proximal Left Anterior Descending Artery Stenosis. Journal of the American College of Cardiology, 26, 1600-1605. Kirklin, J.W., Frye, R.L. & Blackstone, E.H. (1991). Some comments on the indications for the coronary artery bypass graft operation. Int J Cardiol., 31, 23–30. Reed BN, Sueta CA (2015). Stage B: what is the evidence for treatment of asymptomatic left ventricular dysfunction?. Curr Cardiol Rev. 2015;11(1):18-22. Ricci, F., Di Castelnuovo, A., Savarese, G., Perrone Filardi, P. & De Caterina, R. (2016). ACE-inhibitors versus angiotensin receptor blockers for prevention of events in cardiovascular patients without heart failure - A network meta-analysis. Int J Cardiol., 217,128-34. Thompson, C.A., Jabbour, S., Goldberg, RJ, et al. (2000). Exercise Performance-Based Outcomes of Medically Treated Patients with Coronary Artery Disease and Profound ST Segment Depression. Journal of the American College of Cardiology. 36, 2140-2145. Velazquez, E. J. et al. (2016). Coronary-Artery Bypass Surgery in Patients with Ischemic Cardiomyopathy. N Engl J Med., 374,1511-1520.